The certificates were awarded in the presence of the first deputy of CEO Rosatom State Corporation – Director for Development and International Business Kirill Komarov on behalf of the French certification body ASEFA by Mr. Fran?ois Verkindt, Head of Power Generation Global Business Development, Schneider Electric. It is worth noting that late in March 2019, the USG series cabinets underwent qualification tests for seismic and vibration effects on the maximum parameters as well as tests for performance in addition to the certification tests. In the IABG laboratory (Ottobrunn, Germany) response spectra corresponding to 9-point earthquake at an altitude of 30 meters from the earth’s surface were simulated. The tests were carried out in accordance with international standards IEC 60980, IEC 60068 and IEEE 344-2013, lasted four days and consisted of 16 tests, including the determination of resonant frequencies, simulation of design and maximum design earthquakes with different levels of acceleration, impact of air-shock wave (from the fall of the aircraft) and others. “The cabinets of the new series have passed the maximum possible loads and meet the highest safety requirements in the countries where we are building nuclear power plants. The USG low voltage switchgears proved their readiness for the toughest operating conditions and on top of that, they are 30% cheaper and 20% more reliable than their competitors”, – stressed Andrey Butko. 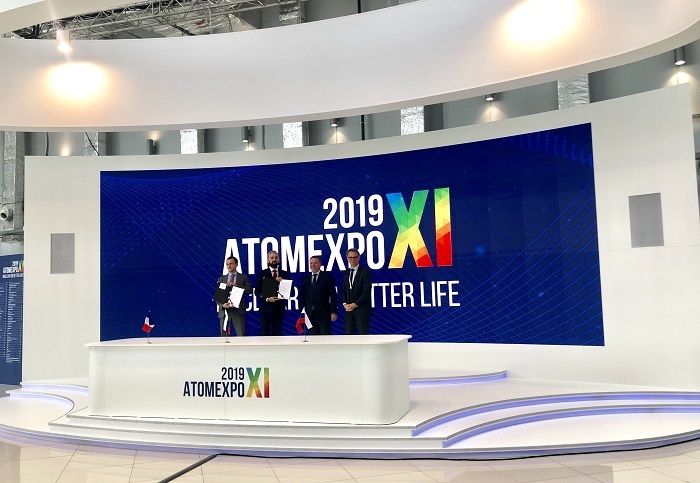 An ASEFA certificate of compliance with IEC regulations and standards provides access to foreign markets for our equipment and guarantees equal terms of participation in tenders for LVSG supply to foreign nuclear power plants of Russian design under construction”, – remarked Nikolai Groshev. “Last year at SPIEF we signed a memorandum of cooperation, which launched a project of international certification of UEMZ low-voltage switchgears. Today, thanks to well-coordinated work of our specialists, we are pleased to pass the test reports and the certificate of compliance with the requirements of IEC61439 to the representatives of RASU and UEMZ. I am confident that this certificate will be a starting point for Russian-made electrical products to enter the European market, increase the Rosatom export potential and profitability of current and future projects, as well as ensure long-term production load and the creation of new jobs in Russia”, – said Francois Verkindt. By the end of the year, the Russian equipment will be tested for operability at operating temperatures of at least 43?C and resistance to mold fungi (tropical climate simulation), as well as for electromagnetic compatibility (EMC) of the LVSG with integrated crates – I&C items, the built-in diagnostic system of motor operated valves and the arc protection system with current control.